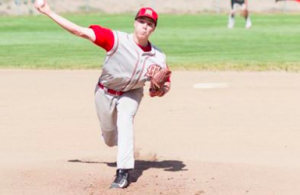 A late rally by the Chieftains as they scored six runs in the top of the seventh procures the victory from the Patriots. 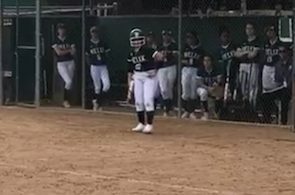 Christian who was looking to garner a signature victory looked like they would strike first in the bottom of the first inning as Lauren Sherburne (1-4, 2B) led off with a double and would advance to third on a two out single by Audrey Shebloski (3-3, 2R, 2 RBI, HR). Unfortunately, both would be stranded as the next batter was retired to end the inning. The scoreless game was finally broken up in the bottom of the fourth inning as the Patriots were able to get to Chieftains ace Maddy Jacobs with a couple of runs. A lead walk by Ashley Carter who advanced on a double by Shannon McMahon (1-4, R, 2B), both would come into score as Devyn Krystek (2-3, 2B, R, 2 RBI) roped a two out double. 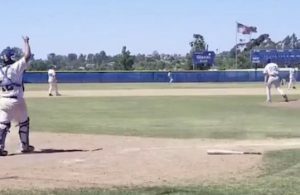 Clairemont in the top of the fifth was able to scratch back a run and cut the Patriots lead 2-1 thanks to multiple hits. Leading by only a run in the bottom of the sixth the Patriots pushed across a couple more runs thanks to base hits by Shebloski, Krystek and Elle Lindblad (1-3, 2 RBI) who knocked in both with a single to make it 4-1. The Chieftains who were down to their final three outs in the top of the seventh knew they had to do something. Indeed they did as they pounded out five hits and all runners led to runs which in the end gave them a 7-4 lead. 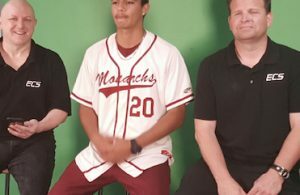 Christian now trailed for the first time in the contest in the bottom of the seventh and were able to scratch back a couple of runs thanks to a two run jack by Shebloski which scored Silent Rain Espinoza. Unfortunately, the Patriots would only get as close as the one run as Jacobs retired McMahon on a fly ball out. Taking the loss for the Patriots was Carter who tossed 6.1 innings while giving up 7 runs on 10 hits while walking 1 and striking out 1. On the other side for the Chieftains, Jacobs went all 7 innings giving up 6 runs on 9 hits while walking 1 and striking out 3. 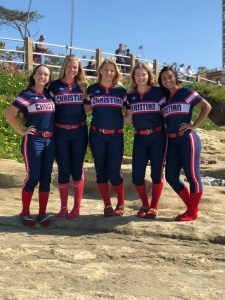 After the game, the Patriots celebrated the five seniors who over their careers at Christian really helped the program with their impact as they won back to back San Diego CIF Championships with the first in Division IV and last season in Division III.